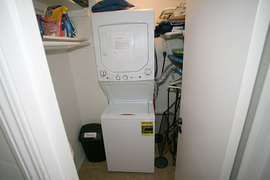 One of the few condos in North Coast Village with a washer and dryer! Come enjoy Panoramic Perfection - G313. It was given the name "Panoramic Perfection" because the view is unlike any of our other one bedroom condos. From the living room, kitchen, and master bedroom you have a clear unobstructed view of the ocean. 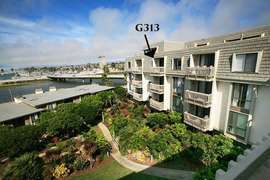 You truly get the best of both worlds as G313 sits on the top floor of the high rise condo in a quiet part of the complex and gives you a full unobstructed view of both the harbor and the ocean. 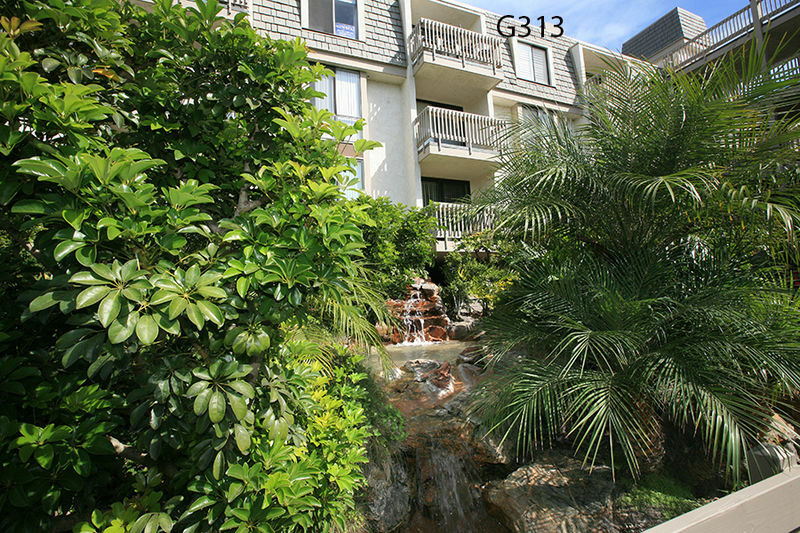 The sounds of the waves penetrate all the way to the condo and are buoyed by the music of the bubbling brook below. The condo recently went through a complete remodel and the inside is as stunning as the view. As of September 27th, 2016, this condo is one of twenty in the complex that has a washer and dryer inside the condo. If you want a truly pampered feel this is the place for you! 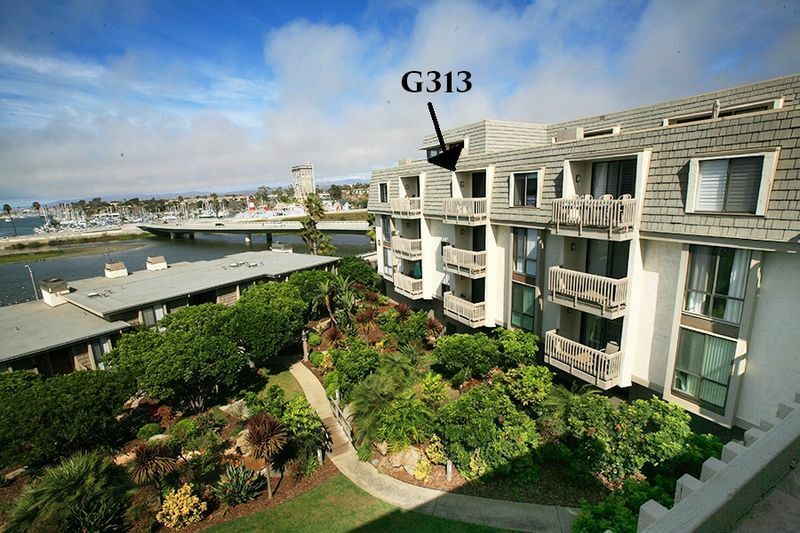 G313 is located in the only complex in Oceanside that sits directly On-The-Sand which means only a short walk through the complex stands between you and the sand! The condo has flat screen TV's in the living room and master bedroom and both have cable TV. High speed wifi is available free of charge with your rental. Beach equipment is also provided and includes: boogie boards, beach towels, beach chairs, beach umbrella, and sand toys. The condo also has a fireplace and wall heaters for the winter months.